Rush jobs are available. 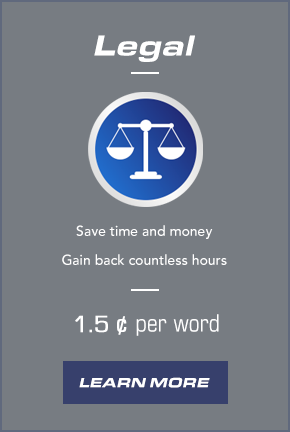 Please contact us first: 3 cents per word. 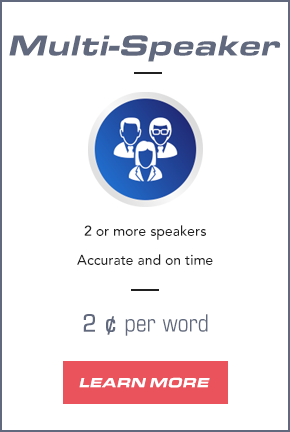 With eWordSolutions.com transcription services pricing, there is no waste, and you only pay for the words typed. We do not type every “um,” “ah,” or repeated word at the start of a new thought (unless asked to), only the coherent and relevant words of the speech. In the long run, you pay far less for better work. 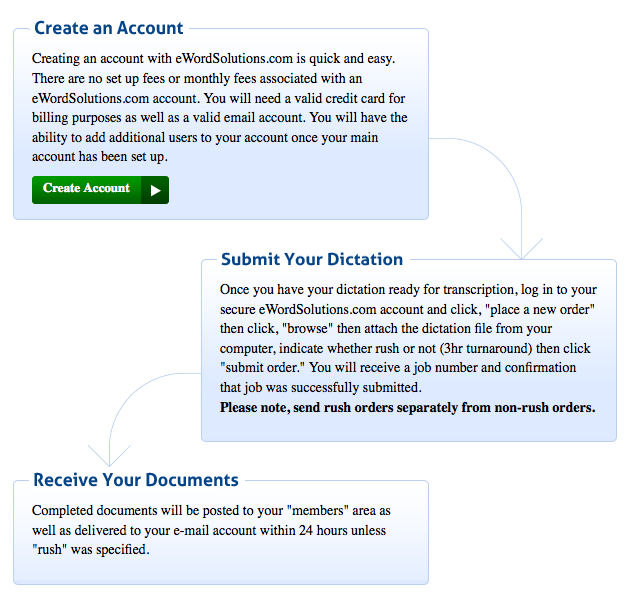 eWordSolutions.com has created its site with an emphasis on “ease of use.” Nothing confusing here. Everything is easy and straight to the point. However, if you do ever have any questions, please feel free to contact us at support@ewordsolutions.com. 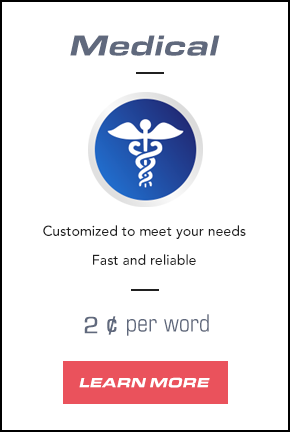 eWord Solutions will bill weekly or monthly. You may also securely pay by credit or debit card, see page 2 of the registration form. Other arrangements may be made by calling (866) 386-6003 TOLL-FREE.